YES!!! Well, maybe yes. As of now, it's confirming a deal for directing the film, but my hope is that he actually winds up writing and directing it the same way that Joss Whedon is doing with "Avengers." That would get me tremendously excited about the project as Black is pitch perfect for the writing of Tony Stark/Iron Man. It'd be a match made in heaven reteaming him with Downey again. I'd almost want to see this than the Avengers film. I can imagine the action scenes with his dialog. I would see this as a restart of the series as I think his participation would bring the franchise up to the next level. I can only dream that when it hits the trades it says: "to be written and directed by." One question is did he go into the meetings with the Marvel Suits with his own take on the character or do they already have an idea as to who/what they want and wish him to configure the story according to their desires. Is there no level to which Honor Hunter will stoop at race bating? Why does this website bring out all the Nutter and Victocrats??? Sheesh, it's just a play on words. Go protest somewhere else puleez. As long as they don't try to 'reboot' the franchise. Continue the story, keep the Avengers, Captain America and Thor..etc films linked. You make it sound like the first two Iron Man films were disappointments. If anything, I hope he can keep the franchise going in the same direction. No reboots, please. The second was a disappointment. Not near as good as the first. I loved many pieces but it was far more uneven than the first. Improvising without a script may have worked on the first outing, but it failed on the second. 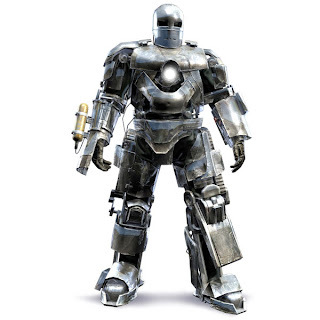 Sorry Honor, the second Iron Man was better than the first! Besides the first one grossed me out sometimes. The second one may have made a good deal of money, but most people believe that it's not near as good as the first. That's not to say I didn't want it to be. I enjoyed large parts, but it's got many more flaws than the original. The problem with Iron Man 2 was it felt too much like the first one. I was however very impressed with the fact that having some many villians didn't turn into a crapfest like most superhero movies that bring in more than 1 villian (e.g. Spiderman 3, etc).